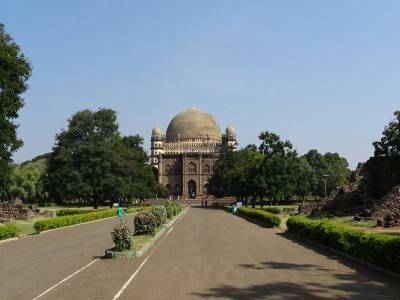 The Sultan of Bijapur, (present Vijayapura) King Mohammad Ali Shah’s mausoleum, Gol Gumbaz, the tomb; is located in the state of Karnataka of India whose construction took 30 years before being completed (1626-1656). 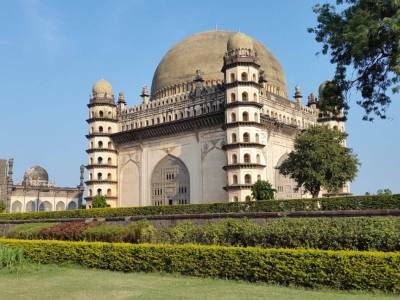 The nomenclature of Gol Gumbaz traces its origin from “Gola gummata” being derived from ‘Gol Gombadh’ which means “circular dome”. It was a part of the Bahamani kingdom and is constructed in accordance to the Deccan architecture having a harmonious confluence of Dravidian and Islamic architecture. The tomb is presently being maintained by the ASI (Archaeological Survey of India). The tomb was designed by Yaqut of Dabul. The tomb can be visited throughout the week from 10 am in the morning to 5pm in the evening. The Gol Gumbaz is the country’s largest antiquated dome, a massive structure. This magnificently constructed dome is also known as the “Taj Majhal” of South India for its beautifully designed architectural brilliance. An outstanding aspect of the dome is that it stands with dominance without the pillars’ support. Being located at the centre (heart) of the city of Bijapur, Gol Gumbaz is comprehensively accessible from all the major cities of Karnataka by both buses and trains. 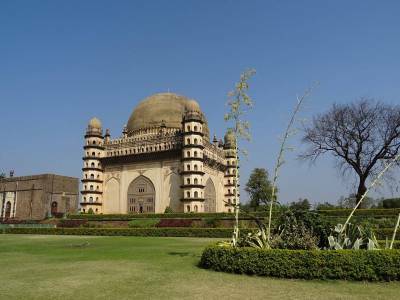 The Gol Gumbaz is indeed a unique structure and the entire city can be viewed from the gallery. The way the domes have been built undoubtedly speaks volume of the great skills and artistic capabilities of the contemporary artisans. The “Whispering Gallery” runs around the inside of the dome where even the faintest and softest of sounds can be heard with full clarity on the other side courtesy of the acoustics of the space. 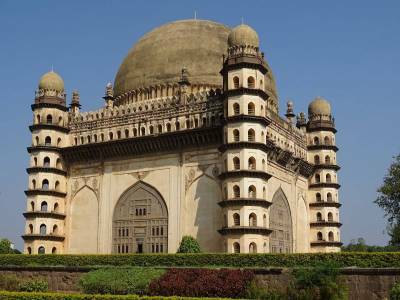 Thus, the Gol Gumbaz is a fantastic tourist spot for travellers to visit and the most conducive time for visiting the place is between the months of October to February owing to the good and pleasant weather. 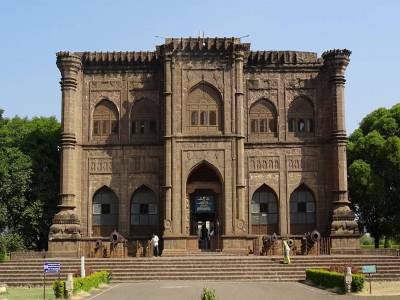 Get quick answers from travelers who visit to Gol Gumbaz.